Deacons proclaim the Gospel of Jesus Christ in three primary ways. They assist during the liturgy. They serve the needy in the community. They preach. 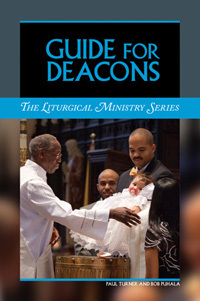 This book will offer deacons guidance to assist their liturgical ministry. You will learn about the history of the diaconate and how the Church understands the role of the deacon. Deacons will find some reflections to help develop your spirituality, whether they are single or married. This book gives practical advice on many aspects of the liturgical service you offer the Church. And it will answer the most frequently asked questions about diaconal ministry. At the end there will be a selection of resources for further reading as well as a glossary.